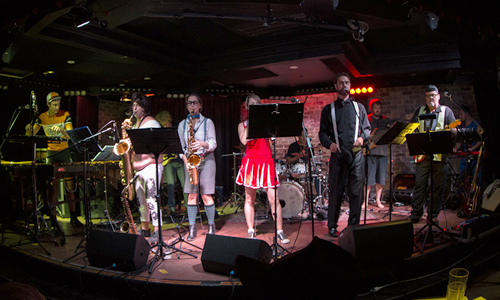 I have been resident drummer with this exuberant 10-piece Zappa tribute band since 2013. Some of the most incredibly challenging music I have played, but also some of the most fun! "...you can't play at playing Zappa. You either nail it or you have a front-page train-wreck. Petulant Frenzy not only nails it, the band applies putty to make the nails invisible, and then daubs on a thick coat of fun ★★★★"
Performing fun and funky feel-good tunes from the 60's 70's and 80's, the Richard Bornman Trio have played regular Saturday Nights at 'Palmer & Co' (under the Establishment Hotel, George St, Sydney) since June 2013. The RBT will add just the right amount of spice to your event, whether you prefer soft music or party music, crowd interaction guaranteed!! Let Fretless Four take you on a soul-moving journey into the world of jazz. 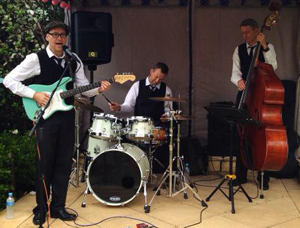 From reflective ballads to sizzling latin and swing numbers, this professional jazz quartet has the experience and the skills to set the perfect mood for your private or public event. 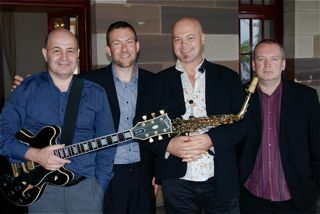 Fretless Four features four of Australia’s leading contemporary jazz musicians - internationally renowned saxophone player Dale Barlow, virtuosic jazz guitarist David Smith, talented bass player Brendan Clarke (winner, National Jazz Award 2001) and sensitive jazz drummer Matt Moore. 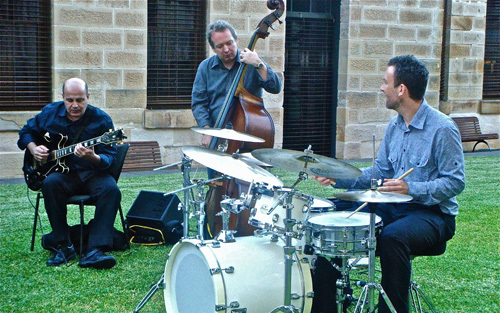 Formed in 2008, The Dave Smith Trio has made a name for itself performing at various concerts and functions in and around the Sydney and South Coast area. Virtuosic jazz guitarist Dave Smith heads up the trio on guitar, with Brendan Clarke on upright bass and Matt Moore on drums. From fast and fiery latin tunes to a soft sensual jazz ballad, the Dave Smith Trio will transport your senses to another time and place.